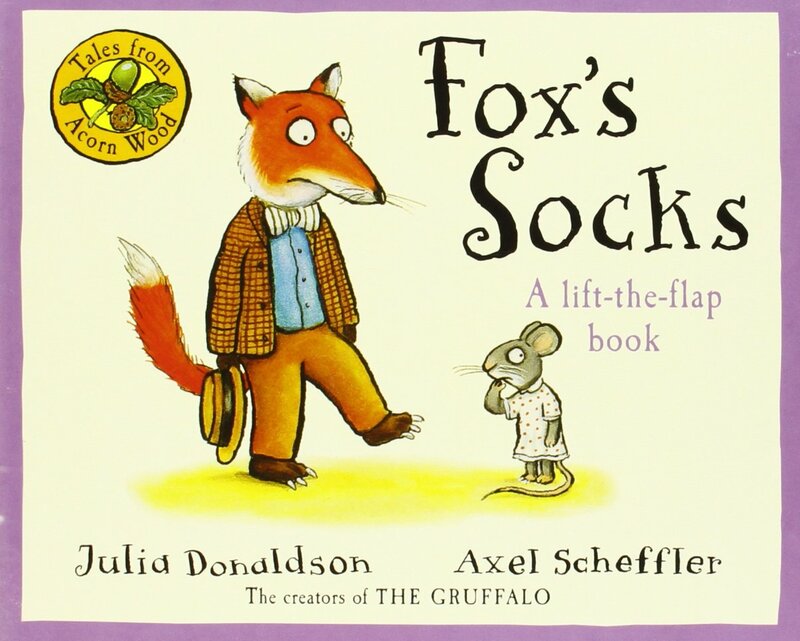 ‘Fox’s socks’ written and illustrated by Julia Donaldson and Axel Scheffler is one of the ‘tales from the acorn wood’. 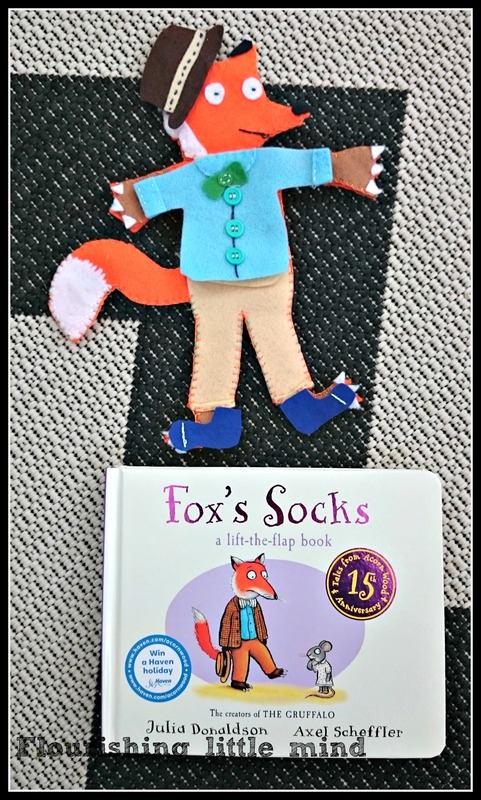 The story is about a fox who gets out of bed with cold feet and goes on a hunt for his socks. He searches around his house looking for them and collects other pieces of clothing on the way. This is a ‘lift the flap’ board book and is good for little hands to turn and interact with. Little Bee’s favourite part is when we find fox’s hat. He looks under the mat flap in the book and then points to his head, it makes me laugh every time. I decided to make this story more interactive by adding some story props for little Bee to play with while I’m reading. 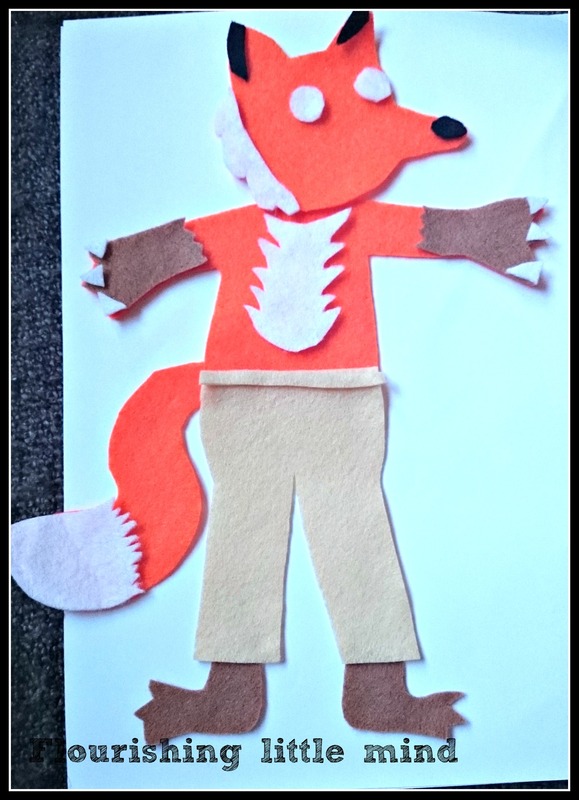 I had a think and came up with the idea of making a fox and some clothes so that Little Bee could dress him as we’re reading the story. 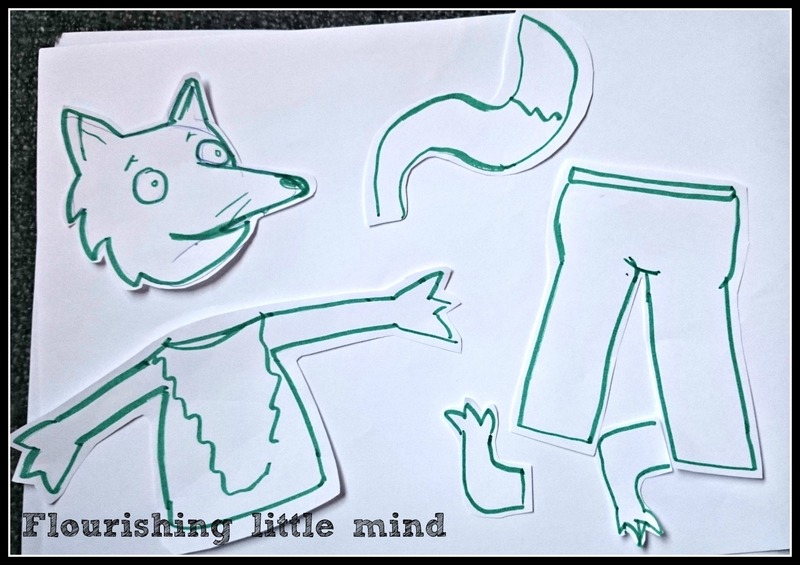 Start by drawing separate fox pieces onto paper and cut them out. You will need a head, a body & arms, legs, feet and a tail. Then pin the paper pieces to some felt. 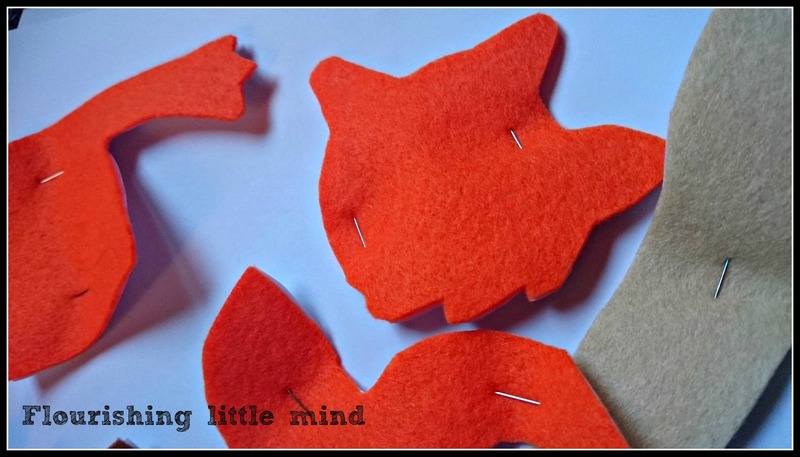 Cut around the paper pieces and you will end up with fox felt shapes. 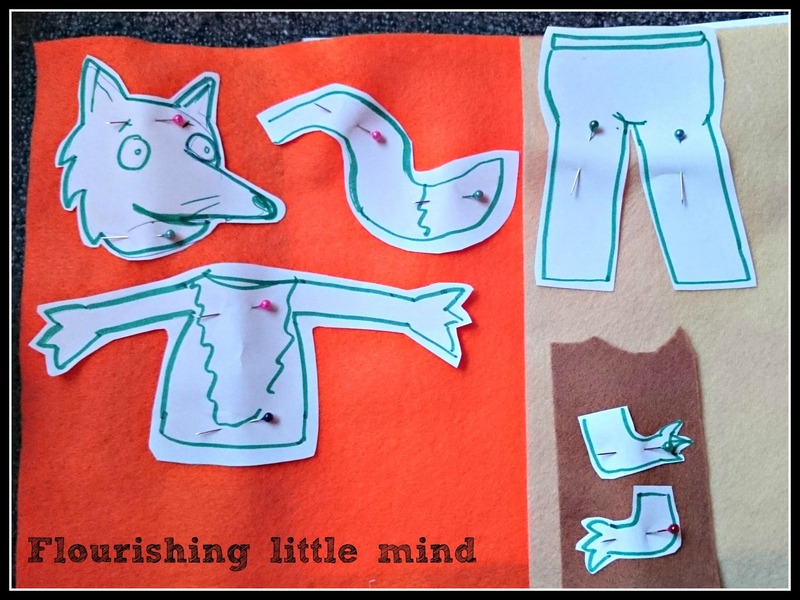 Then you will need to make foxes clothes. Again I used straight stitch and back stitch. Add little details like buttons and cuffs. 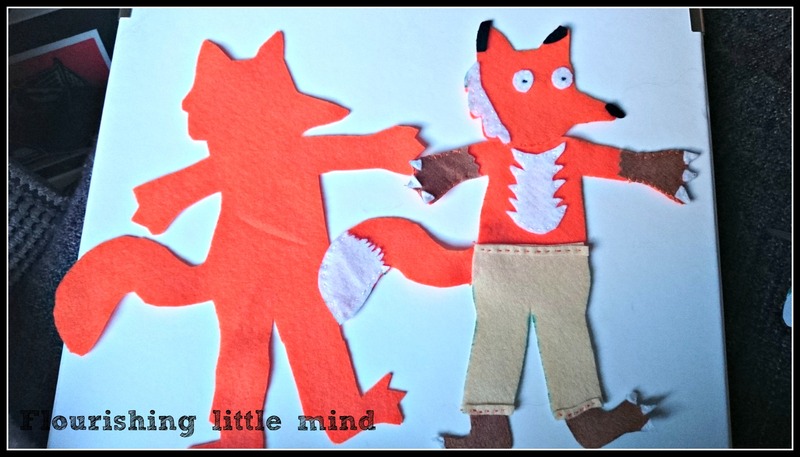 Now use more paper to draw around the fully stitched fox, cut it out and pin it to orange felt. When this is cut out, it makes the back of the fox. 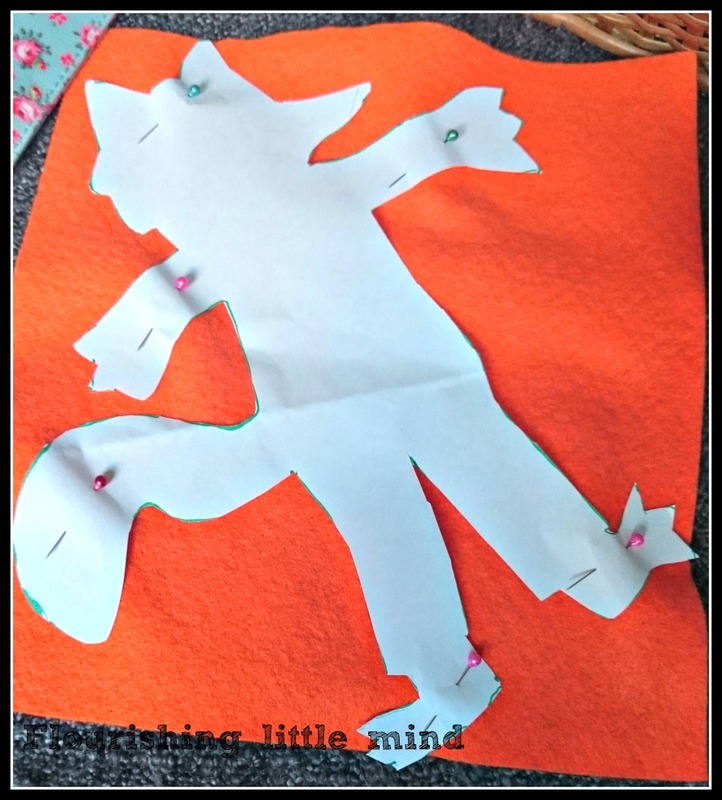 Next stitch the back piece onto the front piece using a blanket stitch all the way around the fox. 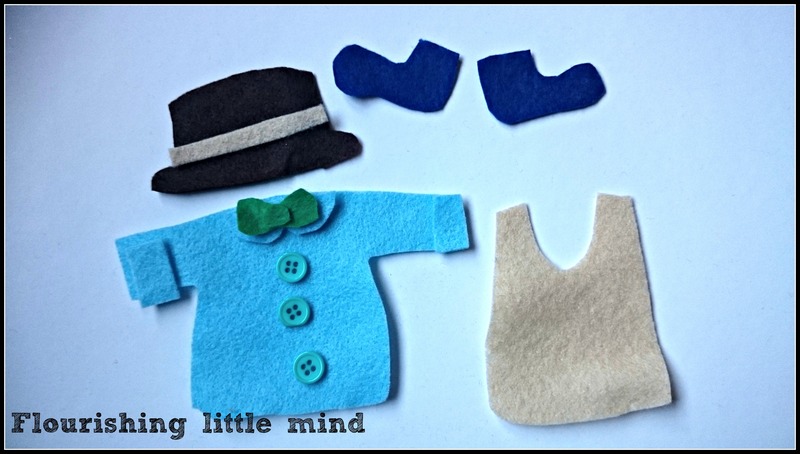 You will now have a fully stitched, handmade story prop which is easy to use for little ones. 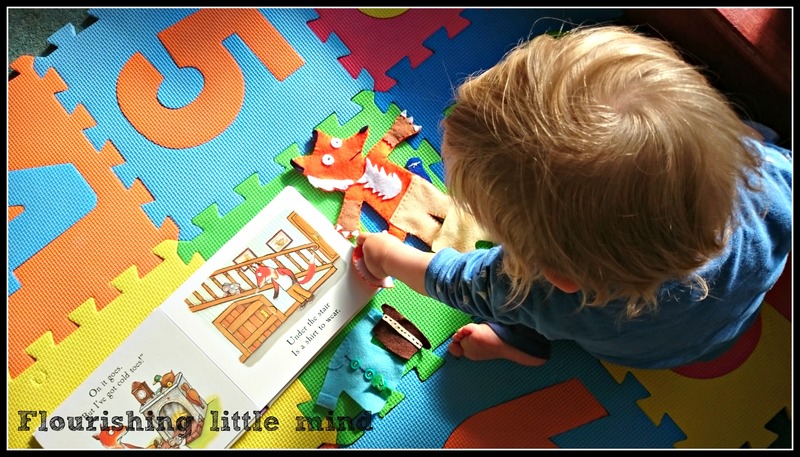 Little Bee enjoyed playing with the fox and the clothes while I was reading the story. He doesn’t understand how to use them properly yet, however he did enjoy fiddling with them and using them for different things. one of his favourites is putting them in the washing machine (including poor old fox). We hope this post has been useful and inspires you to make your own story props in order to bring stories to life! ← Our favourite books right now. Thank you very much!!!!!!!! Your poor old fox is very beutiful!!! !